Meredith Broussard is a data journalism professor at the Arthur L. Carter Journalism Institute of New York University and is the author of "Artificial Unintelligence: How Computers Misunderstand the World." Meredith Broussard is an assistant professor at the Arthur L. Carter Journalism Institute of New York University and the author of Artificial Unintelligence: How Computers Misunderstand the World. Her research focuses on artificial intelligence in investigative reporting, with a particular interest in using data analysis for social good. Her newest project explores how future historians will read today’s news on tomorrow’s computers. 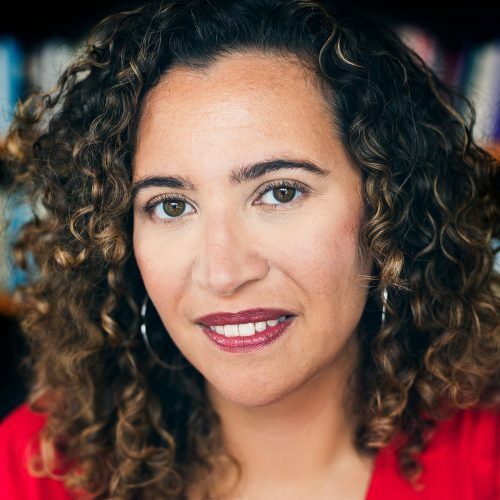 She is an affiliate faculty member at the Moore Sloan Data Science Environment at the NYU Center for Data Science, a 2019 Reynolds Journalism Institute Fellow, and her work has been supported by the Institute of Museum & Library Services as well as the Tow Center at Columbia Journalism School. A former features editor at the Philadelphia Inquirer, she has also worked as a software developer at AT&T Bell Labs and the MIT Media Lab. Her features and essays have appeared in The Atlantic, Harper’s, Slate, and other outlets. Follow her on Twitter @merbroussard or contact her via meredithbroussard.com.